Body language is the way you represent your thoughts or feelings by physical behaviors. 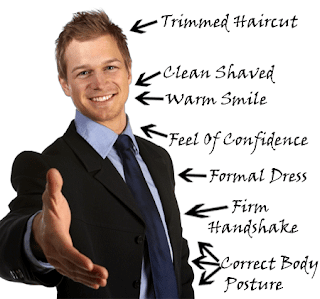 Body language is about your posture, gestures, eye movement, and facial expressions. This non verbal communication is the basic aspect of relationships and modern communications of work, business, social and dating. The way you give expressions and use body parts reveals your intentions and feelings to others. Body language could be like attentive, dominant, emotional, relaxed, romantic, submissive and confident. Your body language should be positive as it has huge impact on the others. Work to improve it for more opportunities and chances for success as more people attracted to a confident person. It is your physical movements speak about your true intentions to others. Don’t get confused it with sign language. Take an example, handshaking indicate your confidence level in people. Body language is what you don’t say bit it counts whether you know it or not. Like “shoulder shrug” is something when you do not know or get what the other is saying. Therefore it is important to learn about good communication skills which include suitable body language with positive facial expressions. Be engaged with people making eye contact. Positive factors are like be attentive, smiling and leaning forward. Moving closer convey your interest to cooperate. Other factors of non-verbal body language are head movements, sounds, appearance and ways of talking as how much you put stress on words and use pauses. To improve your body language use positive signals as making eye contact, sitting up straight, shaking hands firmly, smiling while avoid staring, yawning, rubbing your nose, yawning, slouching, frowning, looking at the ground, touching your face, biting of nails, checking the time, picking at something, tapping, over blinking, locking of ankles.